We'll keep this brief, as the video below does all the talking needed. 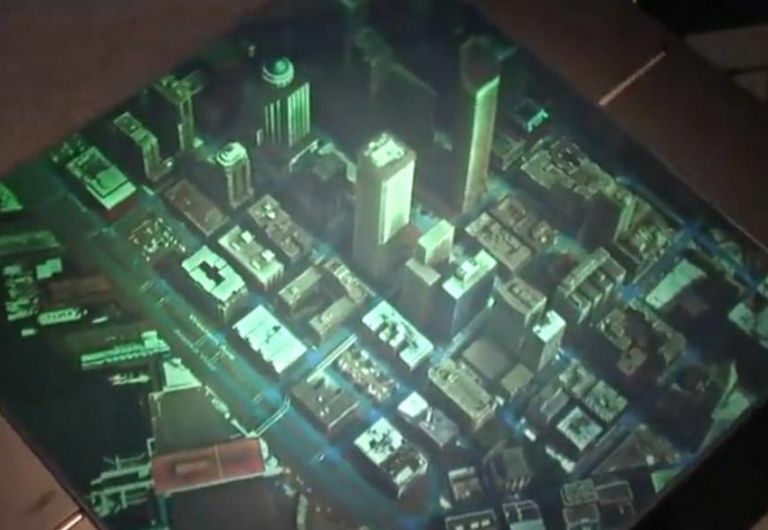 What we have here is a new technology from Zebra Imaging, which allows for 3D maps and models to be 'printed' as a colour hologram on a backlit display. ZScape, as it's called, is acheived by layering thousands of holographic images onto a single bit of slate with the use of laser precision, and the end result is an ever-changing image that the naked eye registers as one 3D whole.